Enhance banquets, parties, dinners and other celebrations with this Ellipse Optically Perfect Award. Customize this polished product and present to hard-working staff members. The recipient won't forget being handed one of these awards. Substantial in size and stunning in appearance, this corporate gift will stand out when displayed on any surface. Their versatility is good for any purpose. Enhance an event and order yours today. 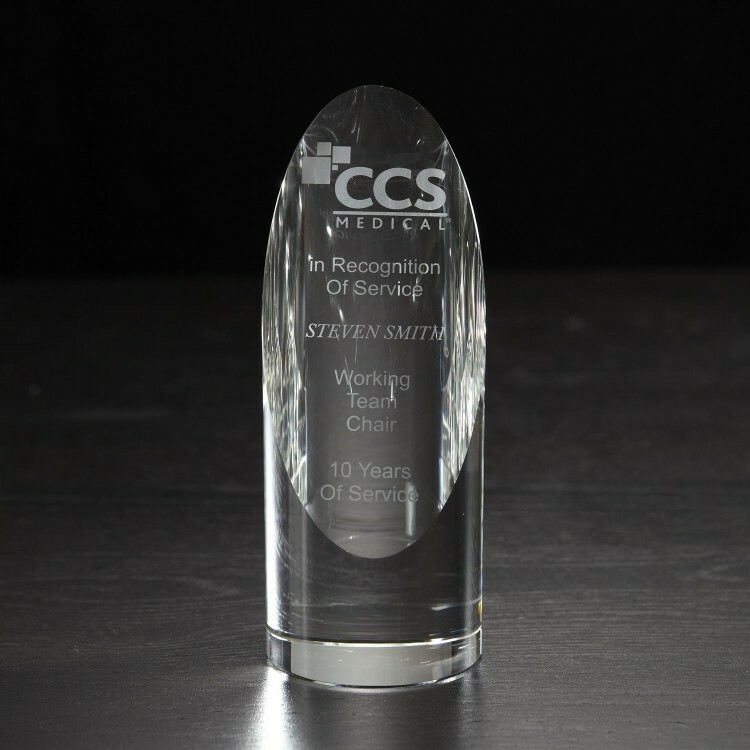 Product Highlights: The recipient won't forget being handed one of these awards. Substantial in size, and stunning in appearance. Their versatility is good for any purpose. Imprint Dimensions: 2" x 3.5"